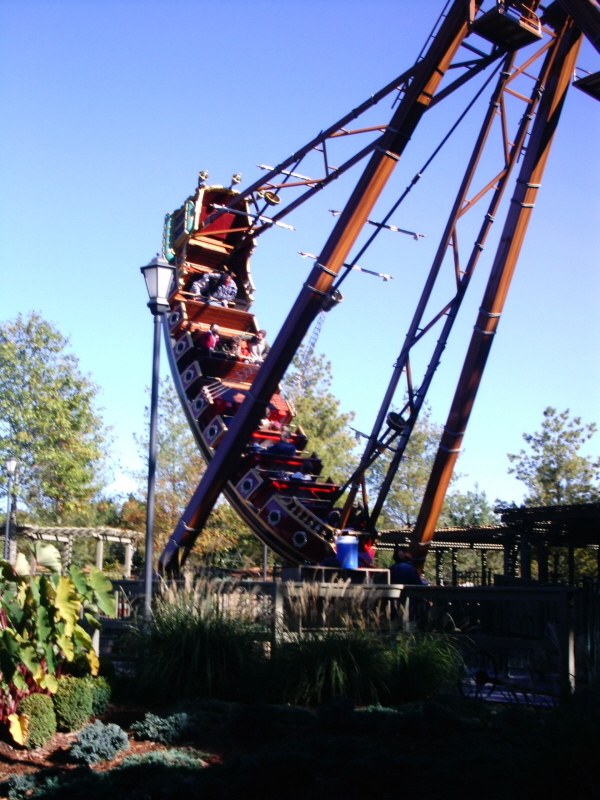 Silver Dollar City has always had a strong fan base but Outlaw Law was the coasters that created renewed interest among enthusiasts. A jaw dropping inverting woodie built by Rocky Mountain Coasters. 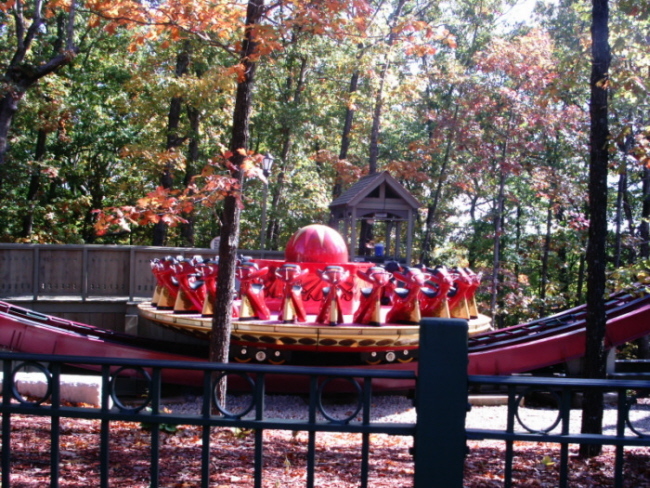 SDC's follow-up coaster (Time Traveler) is a first of its kind spinning coaster from Mack. 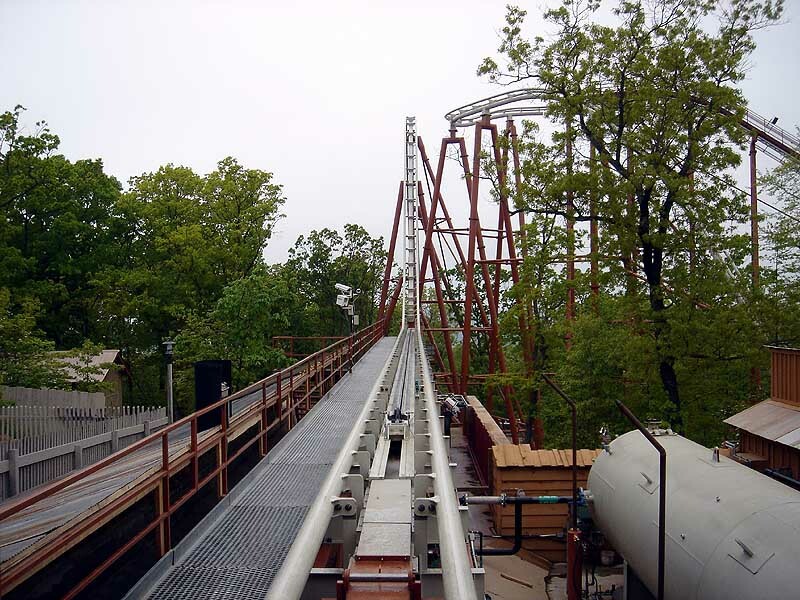 Two of SDC's other major coasters are located in the same area: Wildfire (a B&M looper) and Powder Keg (an excellent S&S launched coaster) as Fire in the Hole (an old-school powered coaster/ dark ride). Thunderation, the park's very good Arrow mine train, is to the right after you enter--you can ride it forward or backward. 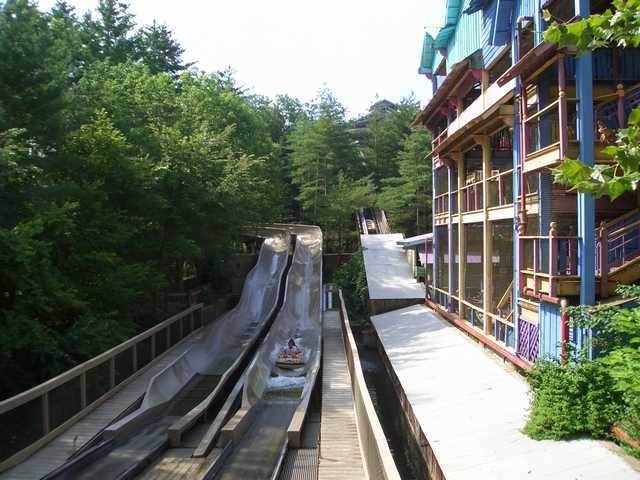 For those hot, humid summer days, the park offers three welcome water rides: American Plunge, an flume located next to Wildfire; Lost River of the Ozarks, a rapids ride in the back of the park; and Tom and Huck's River Blast, a well-themed Splash Battle. 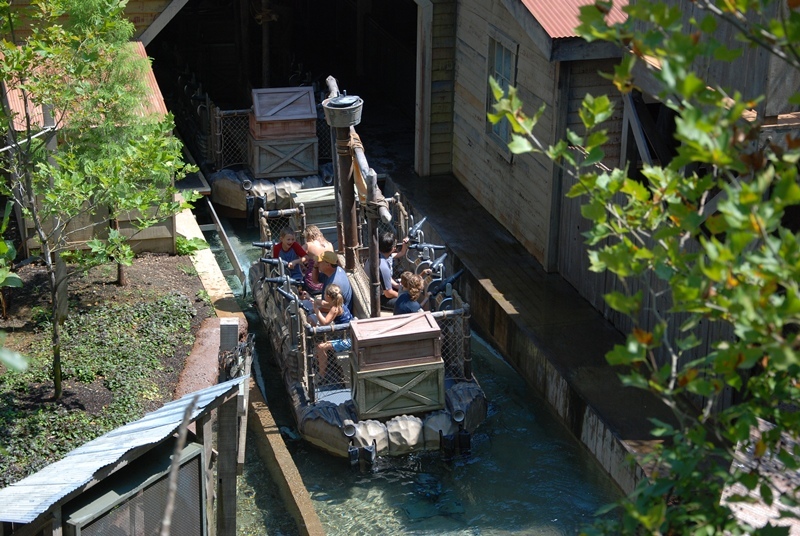 Another boat ride, the Flooded Mine, is a unique and enjoyable shooting dark ride that shouldn't be missed. Grandfather's Mansion is a nice walkthrough "tilt house" that you could easily overlook--it's located in Midtown. 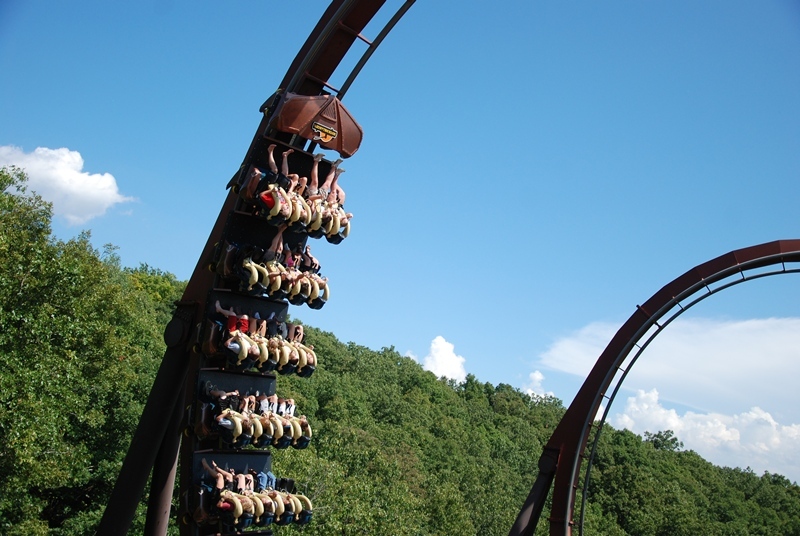 When it comes to flat rides, the Giant Swing (an S&S Screamin' Swing) stands out. 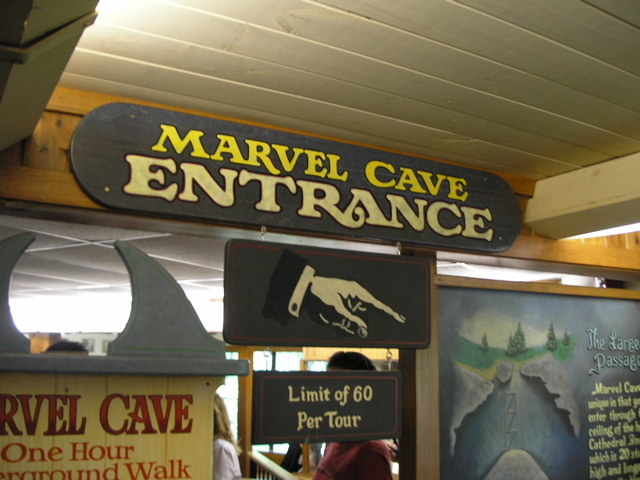 But the park's most unusual attraction is the Marvel Cave tour, which is located under the main gift shop. This walk through a beautiful series of underground rock formations and waterfalls involves lots of stairs, some slippery pavement, and some tight spaces, so be advised. It's definitely worth the effort, so be sure to check the tour schedule when you enter the park. You can get good hamburgers and hot dogs at SDC, but it you want some really good stuff, just follow your nose and check out the various skillet creations at the outdoor food stands--your sure to find something you'll like! Sit-down and buffet meals, featuring fried or BBQed chicken, Italian food, hearty Ozarks breakfasts, ribs, and other goodies, are available, too. At Flossie's Fried Fancies you can sample free prok rinds before buying and right across from the Powder Keg exit you can find jerky made from an assortment of unique animals. Don't miss the baked goods at Eve & Deliah's bakery. Or the kettle corn! Or the funnel cakes! In fact just shelve any diet plans you may have had when you visit SDC! 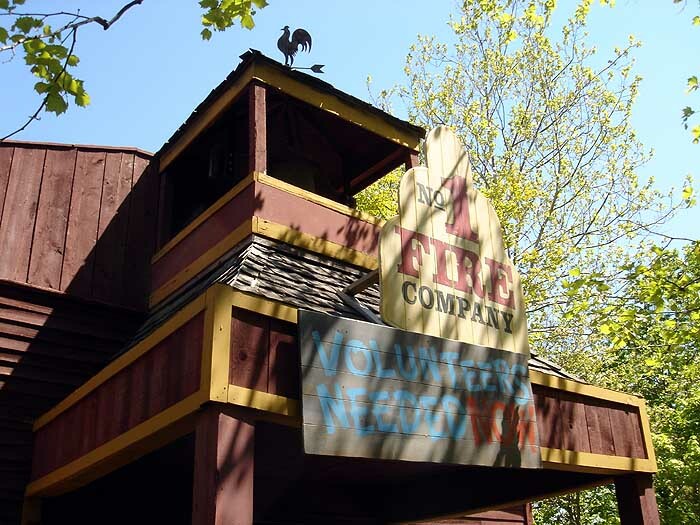 SDC's season begins in April and runs through December. Daily operation begins in mid-May and lasts until mid-August. 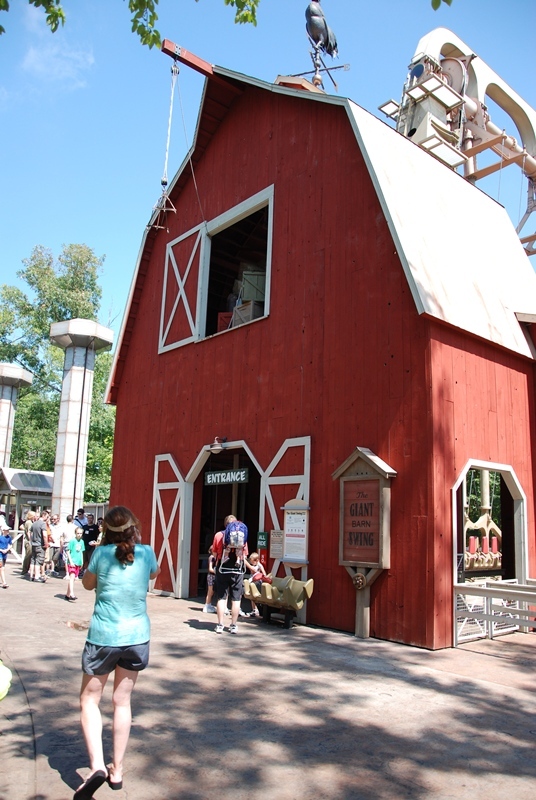 Be sure to check the park's website for operating days and hours: http://www.bransonsilverdollarcity.com/dates-hours/. SDC hosts six major events each year: World-Fest (April-May); Bluegrass & BBQ (May); National KidsFest (June-July); Southern Gospel Picnic (August-September); National Harvest Festival (September-October); and An Oldtime Christmas (November-December). SDC is located at 399 Indian Point Rd., Branson, MO 65616. This is west of Branson off of Highway 76. Highway 465, north of Branson, joins with 76 near Indian Point Rd., and bypasses the center of town (traffic can be crazy in Branson). Highway 265, south of town, also connects with 76 near the park. Branson, like Pigeon Forge, is a major tourist area with plenty of hotels and motels. 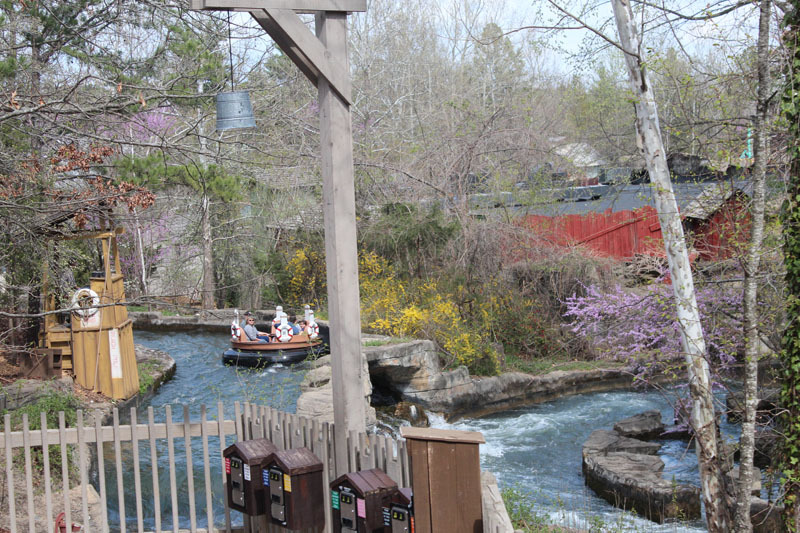 Seasonal packages, which include tickets to SDC and other area attractions, as well as lodging, are available at http://silverdollarcity.reservedirect.com/sdc_packages.asp. You should be able to find something to suit your budget. SDC's Trailblazer Pass offer front-of the-line access to major rides. The regular pass allows you to eight rides total on any combination of the available rides. Only a limited number of passes are sold each day. The park also sells a very limited number (only ten) of "Super" Trailblazer Passes each day which allows unlimited rides of the listed attraction. Each pass is valid for only one time use with Time Traveler You can add on the Marvel Cave Lantern Tour for $4.95. 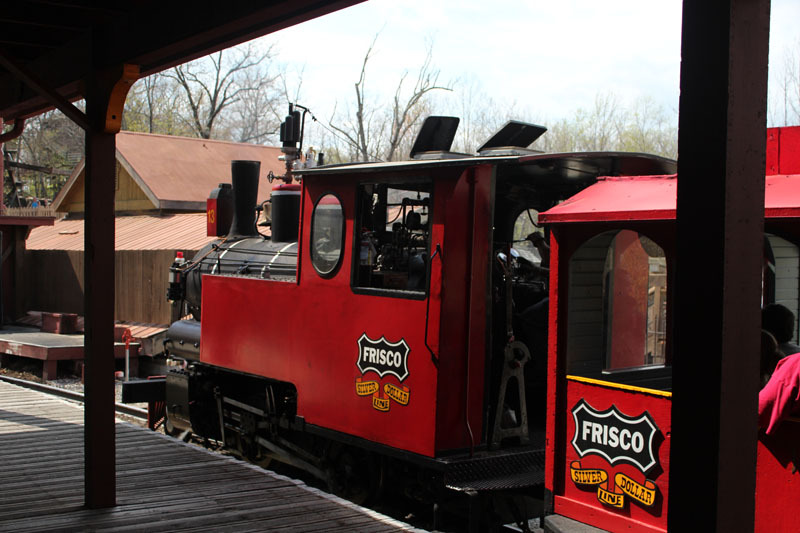 Check the website for availability: http://www.bransonsilverdollarcity.com/offers-packages/default.aspx?id=259. 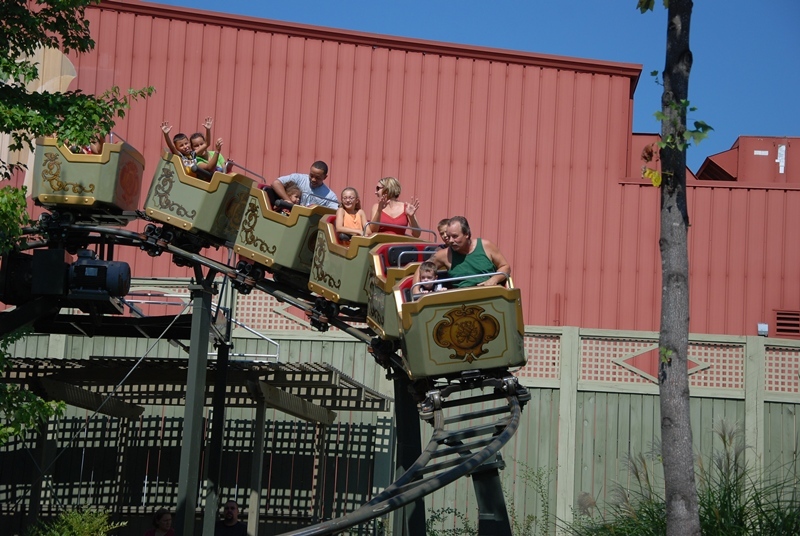 The Show Lover's Pass (additional $10) entitles you to VIP seating for some of the park's shows (package deals are available for larger groups at the Show Lover's Booth and can be ordered online): http://www.bransonsilverdollarcity.com/offers-packages/default.aspx?id=210. SDC's packs a lot of shows into its schedule based on what time of year it is (country and folk music are, of course, a constant). Check the park's website for any particular shows that you might want to see: http://www.bransonsilverdollarcity.com/shows/. 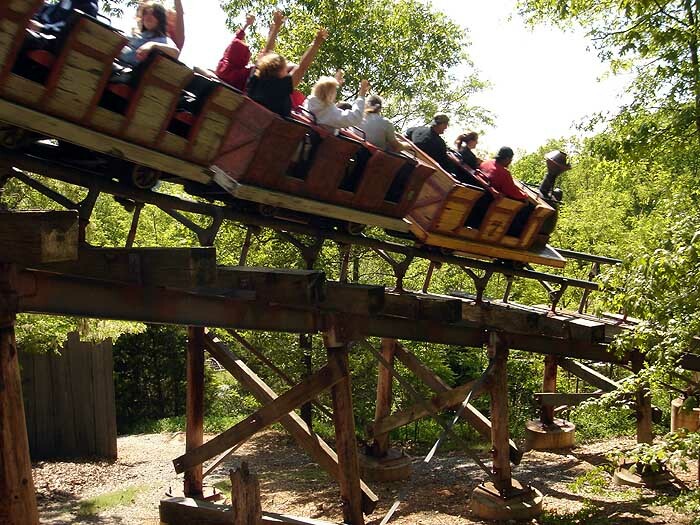 Set as an 1880's Ozark Mountain village, Silver Dollar City features a collection of world-class coasters, shows, water rides, and a full cave tour, which is included with admission. 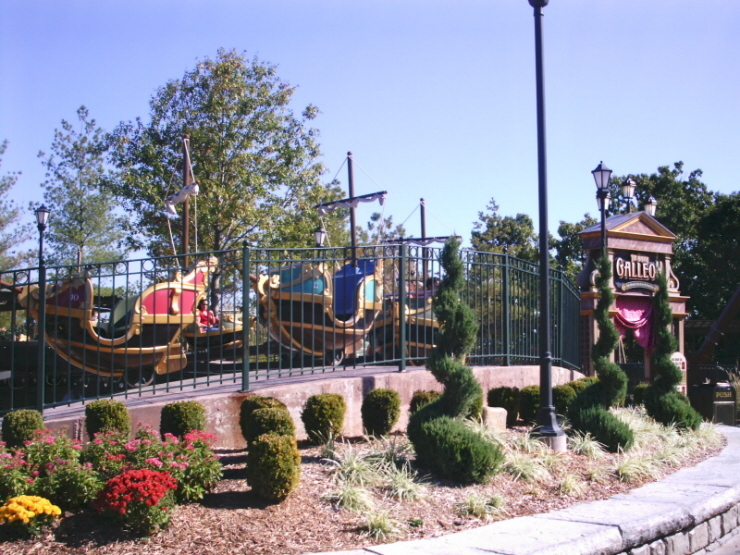 The park is divided into ten districts, which are all sprinkled with heavily themed attractions, unique food stands (skillets), and craftsmen demonstrations such as blacksmithing and woodcarving. Most of the park is set under a thick canopy of trees, which helps keep its authentic feeling of a mountain village and provides plenty of shade. 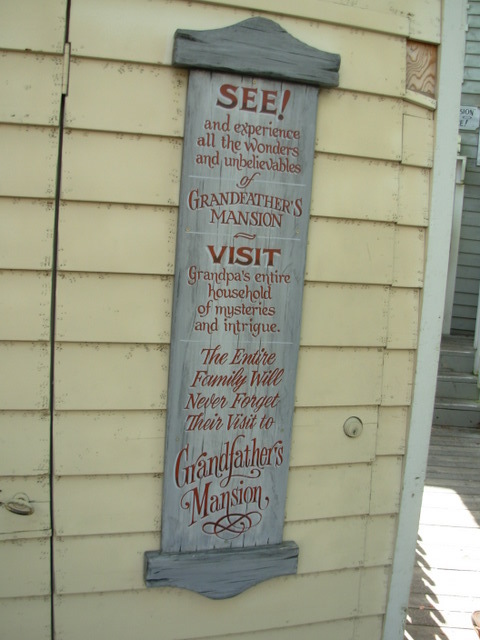 There are a lot of small, interesting attractions throughout the park that are not even listed on the map. 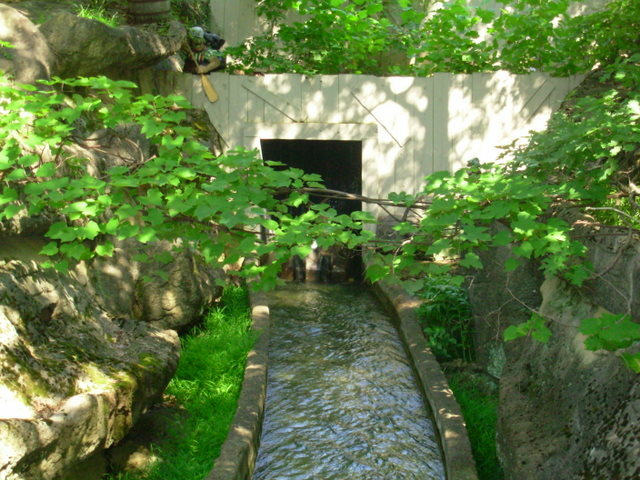 These would include a walkthrough of Grandfather's Mansion, the suspension bridge, and the Ozark Water Tree. To keep things cooled off, there is also Geyser Gulch, which is a three-story water playground. Between all the shows, the real working-steam-engine train, and many other attractions, nonthrillseekers would be able to find plenty to do in the park. 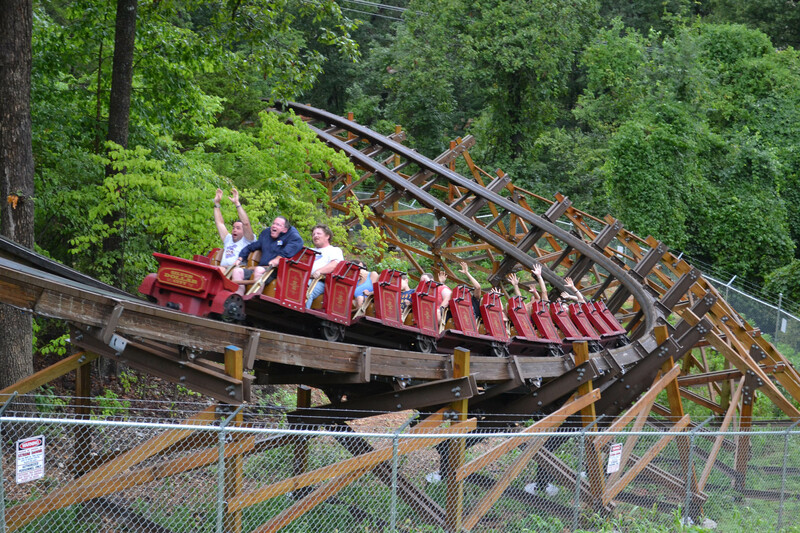 However, the recent addition of Outlaw Run, ranked one of the best wooden roller coasters in the world, will keep thrillseekers happy for years to come. I just got back from a visit to Silver Dollar City and I have to say I absolutely loved the park!!!! Every bit of it. The rides, staff, food, ride ops were all top notch! Time Traveler and Outlaw Run alone are worth a trip from anywhere to come ride these tow world class coasters. We waited no more then 30 min for any ride because of great ride ops. The food was very good and reasonably priced. The staff were super friendly and nice. All the shops and stores were great to take a break from the heat. The park was super clean and beautiful!! It was very hot but the heavy tree canopy allowed us to almost always be walking in the shade. If your thinking of planning a trip to SDC stop thinking and just do it! I highly recommend it. I go to Silver Dollar City all the time for some reason, probably because I live about an hour away from it. They have a few good rides. But the ride cycles on the flats are short, the coasters aren't very long, food isn't *that* good, the whole place is overrated and overpriced, and the employees are unfriendly, in fact the only time I saw that an employee ever interacted with the guests was at Wildfire when me and a bunch of children my age would get off and hurry, not running, back to the entrance and the operator said "I just saw a bunch of you a second a go so you ran back here so STOP RUNNING!" Best park I've ever been to, really amazing atmosphere with shade, great theme, great food and great stores everywhere. Outlaw Run is a life changing experience, so does Powder Keg if you are a younger rider. Cinnamon bread and skillets are the real winner of the park. Cave tour must be amazing but I did not get the chance to fully experience it. Operation on Outlaw Run can be slightly more efficient and unlimited front of the line pass of Outlaw Run can certainly be added but which park doesn't have a little flaw? The mix of high thrills (Outlaw Run, Powder Keg, and Wildfire) and high themeing keeps this park as the best I've been too. I even prefer it over all the Disney parks. It has, by far, my favorite coaster period, which is the high intense Outlaw Run. The park also features gourmet food, cheap specialty drinks (if you have a refill cup, great shows, and good ol' fashioned fun. I describe SDC, a theme park for those who hate theme parks, because of the arts and crafts demonstrations and totally awesome atmosphere. This is a great park to visit. Very very family friendly, very "old school," the theming throughout the park is awesome. The atmosphere of the park is very present. Very laid back, makes you feel no need to rush for anything. 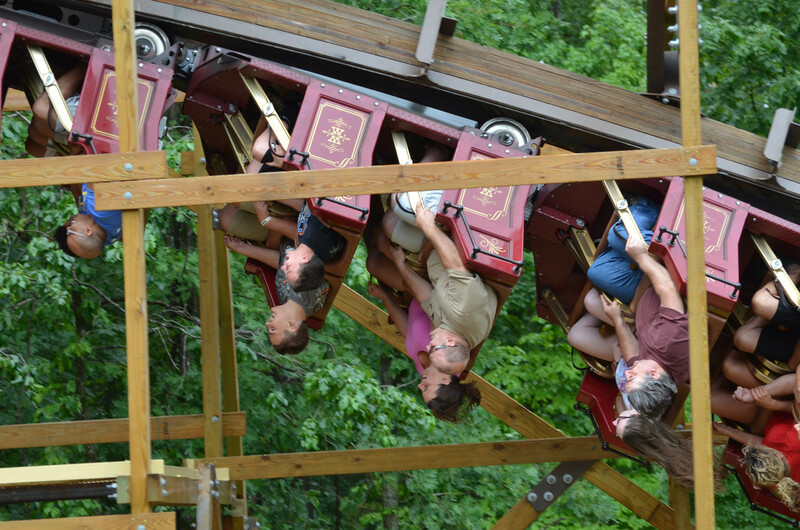 Powder Keg is a must ride S&S family launched coaster. Wildfire is as smooth as glass and provides a great view of Table Rock Lake. Highly recommended. 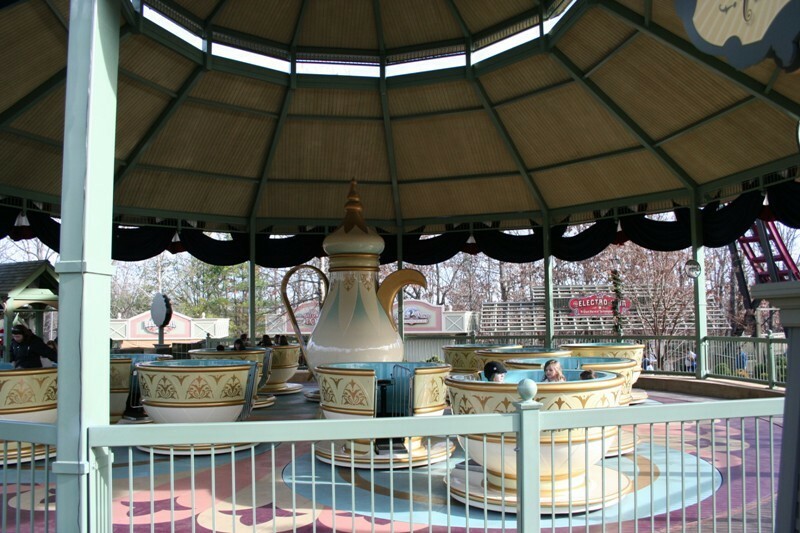 The park literally takes you back in time and offers some of the best food in any theme park. The cinamon rolls are HUGE and delicious. 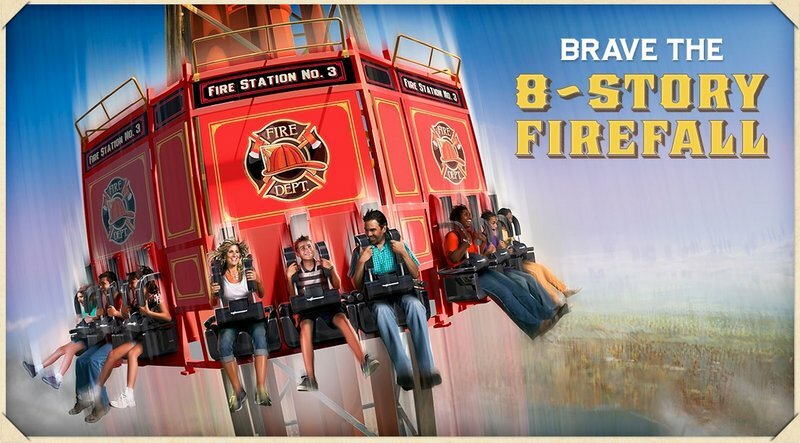 The S&S air launched coaster is amazing, and Fire in the Hole is nothing short of a good time. Don't forget to tour the caves, but use the bathroom before the tour, you won't be able to for about an hour after the tour starts! 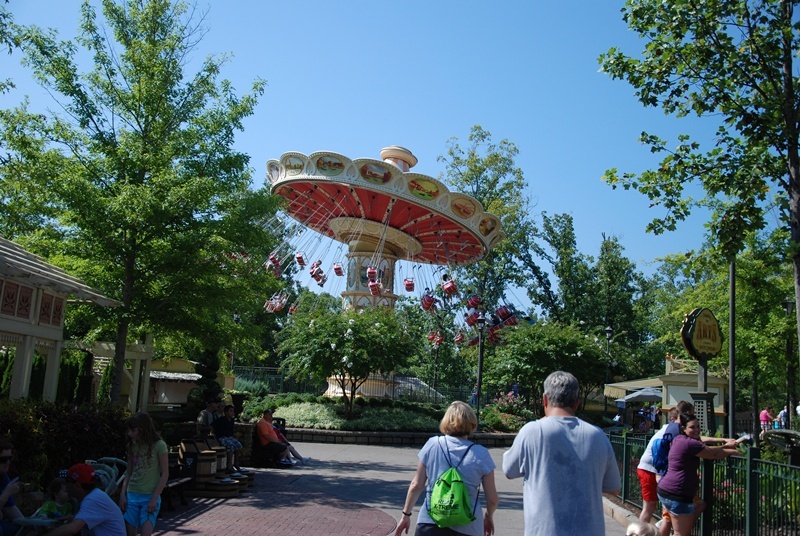 Although it may strain your tolerance for "folksiness," Silver Dollar City is an excellent park with great food, friendly staff, and a great selection of well-themed rides. 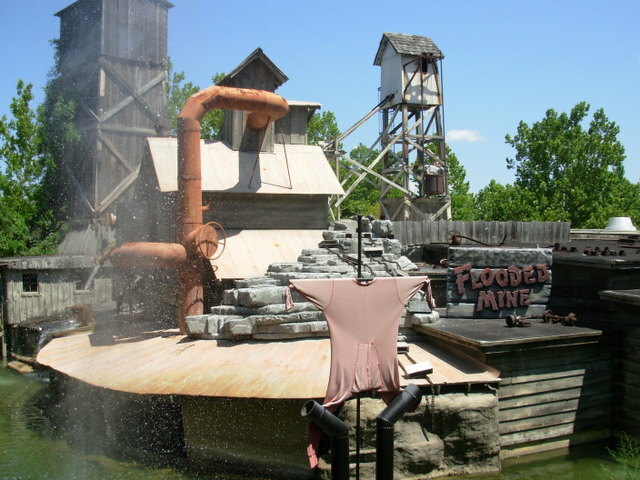 All the coasters, particularly Powder Keg, are very good, but there are plenty of other quirky attractions, such as Fire in the Hole (a dark ride themed to local history), the Flooded Mine (a shooting dark ride), and Marvel Cave (a real cavern, which was the park's first attraction). The theming is nearly Disney-level, with too many details to take in in just one visit. 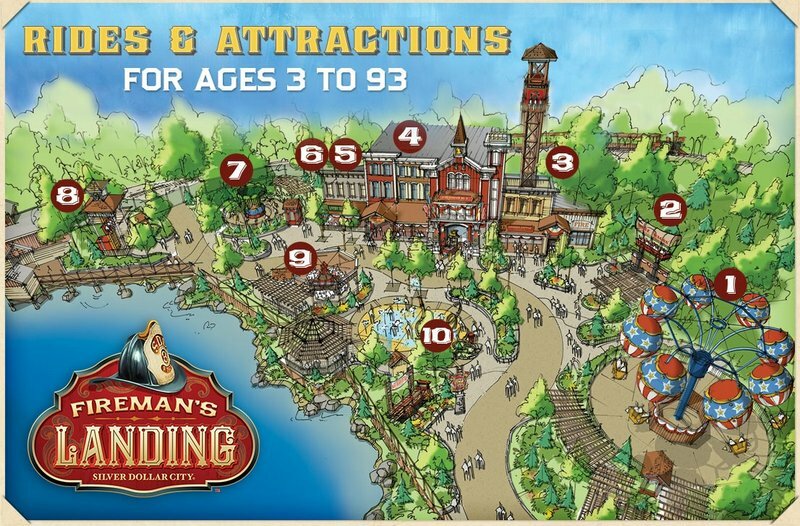 Even if the entertainment offerings in Branson aren't your thing, it's worth going just for this park. Whenever the park has a theme song you know you're in for something special. SDC's greatest asset is the environment, with hills abound and trees everywhere. The scenery is all fantastic, along with the shops and craftspeople. While the coasters aren't the most extreme, they are very fun- Thunderation is my favorite Minetrain, and PowderKeg is full of floaty-ness. Food is above average, but very expensive- especially take-home items. Shops are very cool, but again very expensive. Entertainment is very good, with skits during the day and a nice show during the train ride. Overall, this is a park for people who love the park experience more than any individual ride- thrillseekers may be a bit disappointed, but families should love it. This is a great park. Powder Keg is a great ride, and Wildfire is also very good. Thunderation is probably my favorite Arrow Mine Train. The atmosphere of the park is great. Themeing is so good that it's easy to forget you are in an amusement park. One thing I love about this place is that it seems some people just go there to sit around and not ride rides. I've been on very crowded days, with very little people in line. The food is quite delicious. Marvel Cave is very unique and I would recommend taking the tour while you are there. Although this park is very good, I don't really have a strong desire to return until a big new ride comes. Still the best park in Missouri though, hands down. 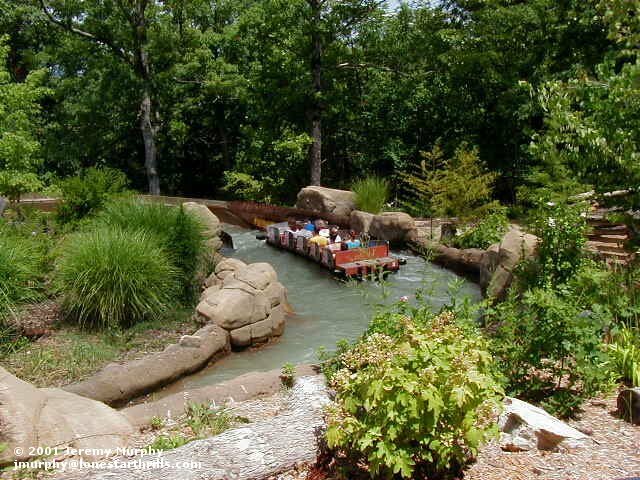 Silver Dollar City is a wonderful park: landscaping, food, rides and atmosphere. This is easily a park for a big group, with diverse taste; no-one will be bored. Unique coasters, offering amazing views of the hills (Wildfire), laugh out loud insanity (Powder Keg) or even just some backwards-riding weirdness on Thunderation. Don't miss the great selection of flat-rides in the Grand Exposition. Absolutely do the free tour through Marvel Cave - seriously, don't miss this. Simply one of my favorite theme parks in the country. I love the setting (it it is very shaded) and it has some of the best attractions and FOOD in the country. Powder Keg is the best family coaster around. There is plenty to do during a full day visit and make sure you make time to explore the Marvel Cave. Amazing park in an amazing location. Great mix of rides, shows, attractions, and food. Full cave tour included in admision price. One of the BEST wooden roller coasters in the world!